If you attended the Irish Christmas in America show in 2005, you received a special treat. You heard great traditional Irish music by the group Teada and special guests Tommy Martin (uilleann pipes), Grainne Hambly (harp), Cathie Ryan (vocals), and local Irish dancers Kari Barton and Kristen Donnelly. Now you have an opportunity to see the show again, but now the show is better than ever! Teada will still be performing with Tommy and Grainne. On vocals will be Danu’s Muireann Nic Amhlaoibh, one of Ireland’s leading female vocalists. Dancing this year will be Abbey Magill and Sienna Hickey, championship level Irish dancers. You really do not want to miss this great opportunity to experience ancient Irish traditions with the contemporary artistry of some of Ireland’s finest performers. 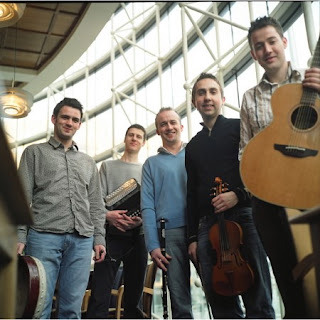 This show will bring the spirit of Christmas on a distinctively Irish journey. The show last year was performed in front of numerous sold-out audiences on the East coast. Irish Christmas in America is presented by Living Traditions Presentations and will take place on Sunday, December 2, 2007 at 8:00pm at The Orpheum Theater in downtown Flagstaff. Tickets are $25 general admission. There is a $2 discount to members of NACHS, FFOTM, NAU/CCC Faculty and Staff, and Seniors. Discounted tickets are ONLY available at Cedar Music and Jitters Coffee. Student and Child tickets are $15. Tickets are also available at Animas Trading, Rainbow’s End, The Orpheum Box Office and www.orpheumpresents.com. This event is great for the whole family to attend as a special Christmas outing. For more information, email Kari@LivingTraditionsPresentations.com or call 928-600-1365.